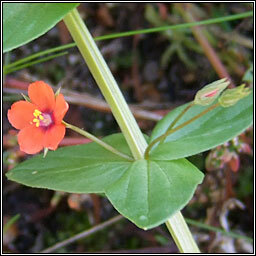 Single 5-petalled red flowers are followed by five-veined seed capsules. 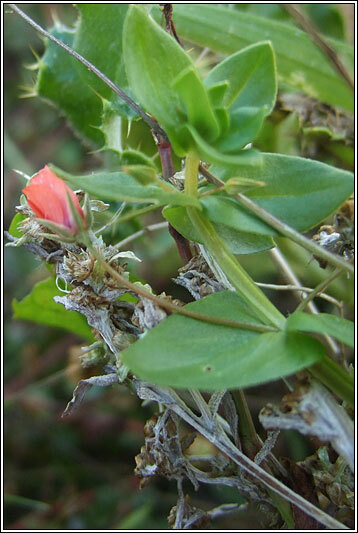 (Flowers can sometimes be blue or pink). 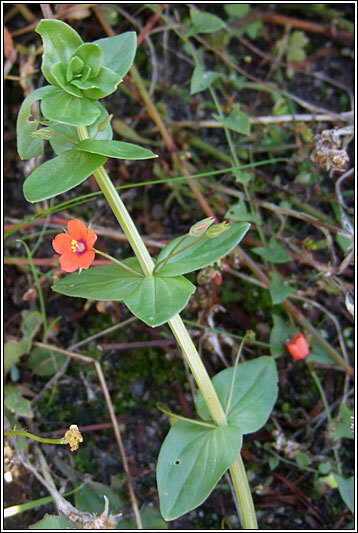 Stalkless bright-green leaves in opposite pairs on ascending or trailing, 4-angled hairless stems.